Supporters of the Islamic State, or IS, are turning to social media to recruit their next batch of warriors: radicalized Muslim sympathizers on Tumblr who desperately want to become wives. As IS continues to wage their brutal crusade, deep in the recesses of the internet there is a small community of young, passionate, and impressionable young women in European and Southeast Asian countries, who in blind fanatical devotion to the Islamic State leave their families and homes to journey to Syria. They don't make this journey to take up arms though—they do it to become mujahida, that is, the wife of a mujahid/jihadist. While various authorities are very fearful of the consequences of these extremist Muslim youths' mobility, it does seem like at least some of the highly romanticized idea of becoming the wife of a "freedom fighter" is a fantasy that stays online. Still, it's a fact—there are Muslim women from various countries who have embarked on an arduous journey to Syria, and they do beckon their "sisters" to follow. Enter the world of Mujahida Tumblr, a resource for extremist Muslim young ladies in their late teens to early twenties from all over the world who champion the cause of the Islamic State. And sometimes reblog silly cat gifs. In a strange way, the mujahida community kind of reflects other Tumblr fandoms like the Hunters of Supernatural or Cumberbitches. It's a way for niche groups to share thoughts and memes and find support, advice even. The only difference is while Whovians trade gifs of their favorite Doctors and lines, Mujahida reblog quotes about faith in Allah, shittalk Israel (to death bro), and celebrate jihad. It's the ideal place for narrow-minded radicalism to fester as brutal and gory images are way too easily disseminated. But as committed as these women are to the bloody IS crusade, bizarrely, there is also a strong element of docile compassion that characterizes mujahida wife-hood. There is a substantial community on Tumblr, but they're certainly not limited to the site—curious observers and sympathizers can also reach out to mujahida over Twitter and Ask.fm, a Latvian social media service that allows users to ask questions anonymously. Mujahida also use Kik Messenger for personal queries or providing potential contacts for those who are more serious about their hijra, or pilgramage to Syria. It seems that the most common path to join IS in Syria is through Turkey, where the young women posing as innocuous travelers then meet up with their contacts and go rogue, crossing over into Syria. Authorities, however, appear to be catching onto this, and Turkey is becoming a riskier gateway for aspiring mujahida. These women's rather localized online interactions have garnered the attention of Search for International Terrorist Entities (or SITE) Intelligence Group a for-profit organization that tracks the online activity of various extremist groups. Constant calls and encouragement for women to emigrate to the Islamic State takes a vastly different form than does the propaganda aimed at male jihadis. Instead of tales of adventure, glory, and brotherhood, the content aimed at English-speaking women emphasizes the development of the private sphere of the state, and the satisfaction of serving as the emotional and domestic bulwarks of individual fighters and of the newly emergent Caliphate. While SITE exaggerates the "constant encouragement" as the community itself is pretty tiny, it is true that the focus of the mujahida is not engaging in actual battle, but fulfilling the duties of a wife and mother. There is a a very romanticized view that some have (and have reblogged) of a fully veiled woman sporting an AK-47 fighting side-by-side with men, but that is plain wrong. Various Tumblr mujahida and purported mujahid repeatedly insist (presumably because girls repeatedly ask when they can get their own AK-47s) that women's role in jihad is explicitly domestic. Women do not fight in the front lines—the very purpose of a woman journeying all that way is to get married. They cook for their husbands. They are meant to have babies and groom the next generation of Lions (a nickname for IS fighters). They feel blessed and have the utmost pride if their husbands die in battle. Maybe if their husbands have time they can teach their wives how to shoot. But aside from that, the actual fighting and the actual violence is left to the men. Other mujahidas also give advice over Tumblr, from practical things explaining the best way to exchange money into Syrian currency to stressing the importance of learning Arabic upon arriving in Syria, to advice on how to get to Syria without parental permission, which is not technically allowed in Islam but can somehow be bypassed by transference of guardianship—quite the loophole. The most common questions come from people who are simply curious as to what life is like over there in Syria, as if gauging whether or not it's worth it to make the trip. Of course the responses seem very idealized for what's actually going on over there. But while scrolling through some of the mujahida Tumblr accounts, amidst all the quotes about faith and Allah and bloody pictures from Gaza, and the shade thrown at white Mujahida from other Muslim girls, themes of love and romance continuously resurfaced. Whether it was a love letter from a mujahid to his wife or a cute picture of a couple or all the pictures of a lion and lioness (because of the Lions thing), at the end of the day, all these young women want is to find true love. 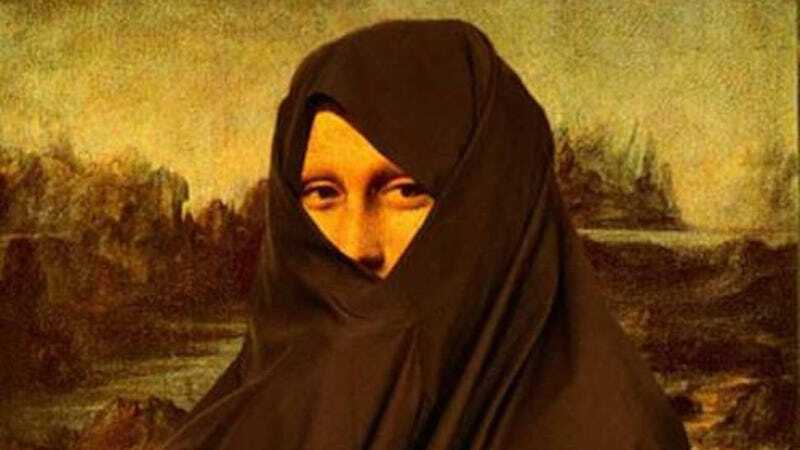 They constantly hail hijabs and niqabs, yes for their modesty (keep in mind that IS decreed women reject glamour and be fully veiled "or risk severe punishment"), but also because they believe that only their true love, their husband will be able to see the true beauty underneath. These young women may support one of the most brutal terrorist organizations, a caliphate whose boundaries are quite literally demarcated in blood. They may roll their eyes at moderate Muslims who call for peace (because extremism is ALWAYS cool in the eyes of youths). They may call for beheadings and reblog statements from other stir-crazy extremists in an incredibly misguided attempt to obtain validation. But honestly, they're really not all that different from any of the other 19-year-old hopeless romantics on Tumblr. But there is no question that extremist groups try to reward their fighters with brides, however they can be obtained. One obvious example elsewhere is the mass kidnapping of schoolgirls by Boko Haram in Nigeria. Islamic State has opened a "marriage bureau" in the northern Syrian town of Al Bab for women who want to wed jihadist fighters in territory they control, according to the Syrian Observatory for Human Rights, a UK-based pro-opposition group that relies on activists on the ground for its information. Mujahida often refute the suggestion that their marriages are arranged. After all, it's all in the name of love (and Allah). But given the fact that IS fighters have been known to force Syrian women to marry them without consent, sometimes under pseudonyms, sometimes by verbal agreement only, and sometimes for merely a few months, there is some serious ambiguity as to what constitutes an actual marriage anyway. These aspiring Western mujahidas have been coerced online into thinking that being a jihadist spouse and mother is their purpose in life, but I'm not too convinced they understand the reality of the situation on the ground. When the lion and lioness pictures and Quran quotes are stripped away, the mujahida seems less like a noble equal and more like a Stockholm Syndrome-afflicted hostage.